I only read books once. I like the element of surprise (even though I often cheat) that reading a book for the first time brings me. I love the feeling of discovery. Am I really the only one? Anyone else a one and done reader? Most books I read are one and done for me. But if I really fall in love with a series (characters, atmosphere, setting, story), then I definitely re-read. 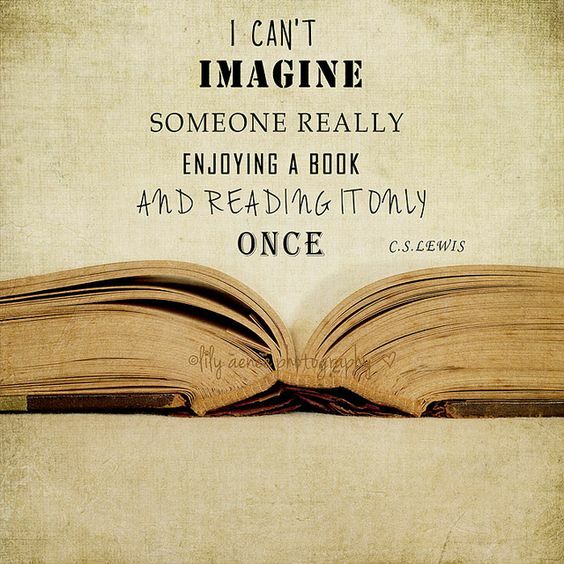 GOT, HP, and the Outlander series, I love to revisit them again and again. And it always gives me the same excitement as the first time. I wish rereading did that for me! I'm definitely with you! I've read bits from books before (like ACOMAF), but I think the last time I reread a book was 10 years ago and it was a HP book. Yep. It's just not for everyone. I'm often disappointed when I reread books so I've pretty much stopped doing it. Yep. I understand that feeling.